You ask…What’s happening at the Big Flats Library? Well, let me tell you a few things…. Flowers are blooming. Muriel and Charles Friend deserve a huge round of applause in recognition for the great job they do with planting and maintaining the flowers around the Big Flats Branch Library. Every year, without my asking, they come and fill our planters and stuff our grounds with a wide assortment of beautiful flowers. 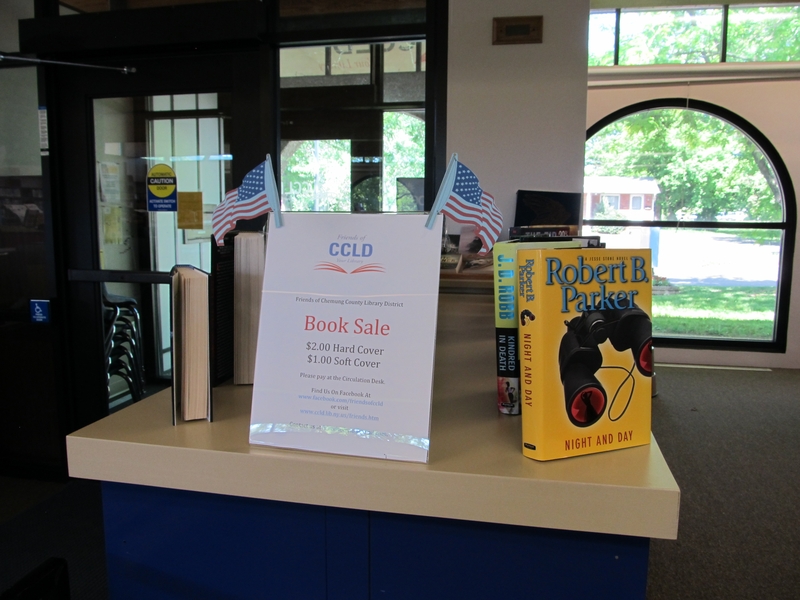 We are now hosting a mini book sale shelf from the Friends of CCLD. Hard covers are $2.00 and soft covers are $1.00. What a bargain! All proceeds from this sale benefit the Big Flats Branch Library. 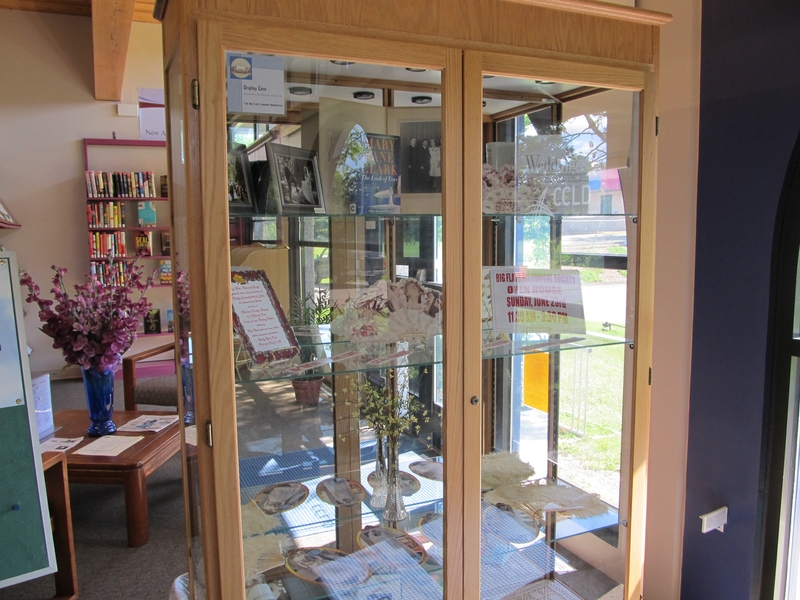 A new display case has generously been donated by the Big Flats Library Advocates. Pat Silvernail does a great job with organizing the monthly displays and recruiting volunteers to fill the case. An advance thanks to the Town of Big Flats Highway Department. They are bringing over some heavy equipment and donating a pile of sand for a Tuesday night Summer Reading Club program in July. It is always a pleasure to work with the Town of Big Flats and hope to do more in the future. Every Spring the Big Flats Women’s Club donates a Spring basket for raffle. This year the basket raised $195 for the library. Thank you all BFWC members. Come see the newly re-modeled Big Flats Library. You will be amazed! This entry was posted in Big Flats, Uncategorized and tagged Big Flats by ccld. Bookmark the permalink.